It’s one of my favorite instruments and this evening we managed to get it on our record. 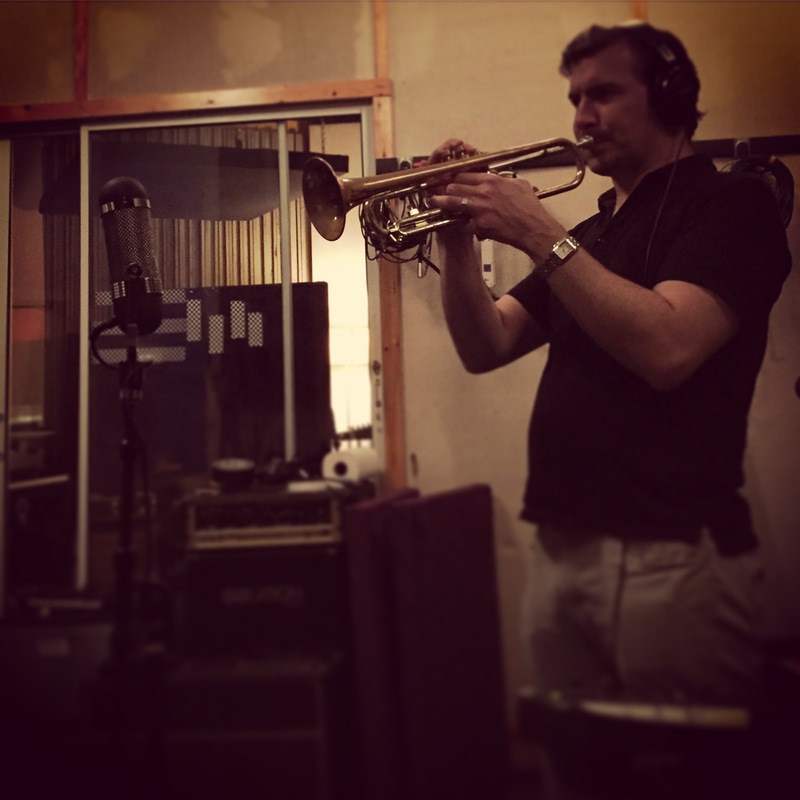 Matthew Hilgenberg, friend of Jeremy our Piano player turned up at 8pm tonight to lay down some Trumpet parts for ‘A Better Life’. He was as nice as he was talented and we got everything we needed in just over an hour. It also turns out he’s a huge Pink Floyd fan and we nerded out over Animals, a particular favorite of mine. There is something to be said about listening to a trumpet being played in a large room, I can’t think of words right now so here is a picture of that happening.